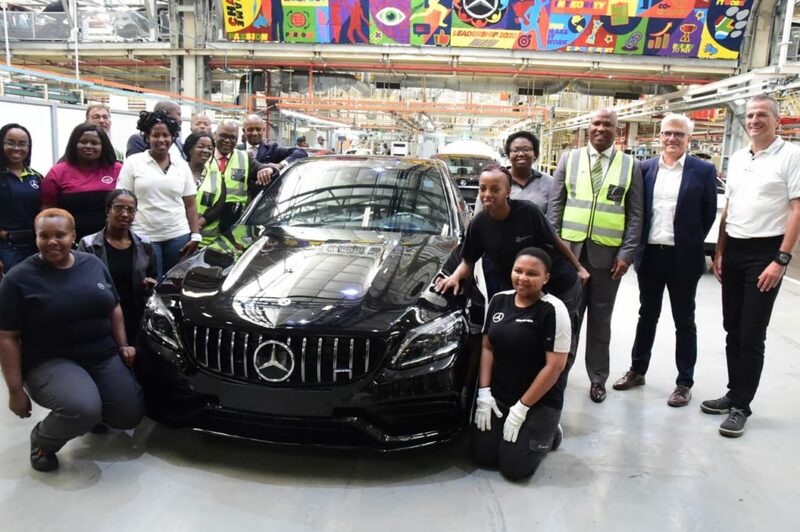 Eastern Cape Member of the Executive Council for Finance, Economic Development, Environmental Affairs and Tourism, Lubabalo Oscar Mabuyane paid a special visit to the Mercedes-Benz Plant in East London. The purpose of MEC Mabuyane’s visit to the plant was to discuss the progress made to the expansion programme of the site nearly a year after Mercedes-Benz Cars announced the investment of R10 billion towards the expansion of East London Plant. “We came to engage MBSA about their investment and to get a progress update on the rollout of the work linked to the investment. We are happy with the progress we see. “The announcement by Mercedes-Benz to inject R10 billion into the expansion of the plant for the new generation C-Class signals to the positive momentum Mercedes-Benz South Africa is making to realise economic growth in the Eastern Cape. “The provincial government will continue providing investment incentive support to Mercedes-Benz to grow as a business. Their growth is good for the provincial economy. When Mercedes-Benz South Africa grows, South Africa grows. We are happy that this investment comes with skills development, training, contracts for small businesses as suppliers and jobs for local people. A central priority for the government is to work with key stakeholders who will support the socio-economic development of the Eastern Cape province through enabling economic growth, employment, poverty eradication and reducing inequality,” said Mabuyane. Construction for the wide expansion of the plant is currently underway at the East London plant, equipping it for the production of the next generation C-Class. With the R10 billion investment, segments of the plant will be expanded, including a new body shop that is designed for higher capacities and features, laying the foundation for Industry 4.0 readiness. For the addition of three lines within the assembly shop, 700 tons of steel will be installed. Utilising innovative methods, the new paint shop will be increasingly energy efficient and environmentally friendly. Overall, the energy consumption per vehicle produced will be further reduced by 25% in the East London plant for green production. During the visit, MEC Mabuyane also visited the Mercedes-Benz Learning Academy (MBLA) – a flagship and sustainable Public Private Partnership borne in cooperation with the National Treasury and the Jobs Fund. MBLA demonstrates the commitment of Mercedes-Benz South Africa to empowerment, skills and youth development within the automotive manufacturing sector.